Since the dawn of the human race, mankind has looked up at the night sky and wondered ‘what’s out there?’ The ancient Greeks and Romans saw the constellations and wove them into their myths of warring gods. The native Americans’ creation story is based on the movements of the sky. The past few hundred years brought with them the birth of a new age, an age of science and deeper understanding of the cosmos, the universe, and our place in it. With this greater understanding, mankind started to dream of flying from Earth into the unknown, of walking on distant planets, floating amongst the stars. We tend to separate science and imagination into hard facts, and whimsical daydreams, but without the merger of the two, space exploration would never have begun. A certain amount of fantastical thinking is needed to imagine that humans could actually leave planet Earth, a great feat of science and engineering. 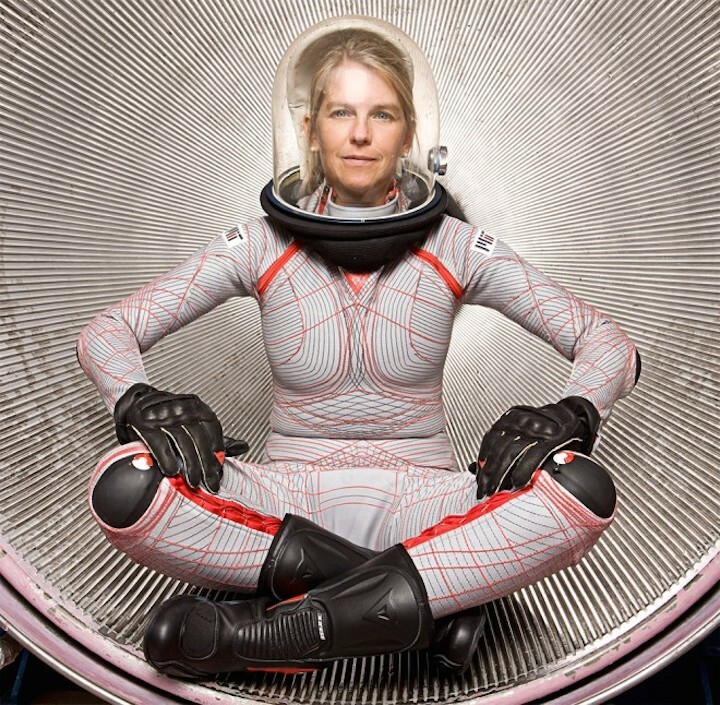 For Dava Newman and Gui Trotti, they are continuing mankind’s legacy of dreaming of the heavens, and are at the forefront of discovering new ways to better prepare humans for long-term residency in space. Recently in a talk as part of Space Week in UCD, these two recounted both experiences of their past decades at NASA and hopes for the future of space travel. Trotti has possibly the best job title in the world: he is a space architect. He has designed the new South Pole Research station and has worked on designs for lunar bases and the international space station. Newman and Trotti work together, and separately, to prepare humans better for life in space and for space travel. Together they have been designing a ‘biosuit,’ a sleek, futuristic looking spacesuit which is designed to keep air pressure consistent across the body. Space is literally just that: space. Millions and millions of kilometres of empty space, absolute nothingness, not even air. Spacesuits need to be able to provide a coating of air pressure for human bodies. If exposed to the vacuum of space, the fluid within our bodies would almost immediately start to boil. Boiling bodily fluids would prove to be rather a hindrance to anyone attempting space exploration. When we picture astronauts, we imagine the large white, somewhat marshmallow-like spacesuits, the biosuit is the opposite. The design of the biosuit sets it apart from the typical inflatable-style suits, using an elliptical patterning across the fabric to aid the spread and maintenance of air pressure. Their hopes are that the suit will be suited to long journeys through space, and to help protect the body against the adverse effects of microgravity. The couple designed the suit on the adventure of a lifetime which Trotti describes as his “greatest achievement.” Together, they sailed around the world. They would spend weeks bobbing along in the vast oceans of the world thinking about space, and the vastness of the cosmos. It was on this adventure that the idea for the biosuit took hold. After weeks designing and drawing up plans, they pulled into port and submitted the design for a patent, before hopping back on their boat to continue their journey. In planning how best to combat the harsh conditions of space, space travel, and eventual living on other planets, researchers use simulations, environments on Earth which mimic conditions in space. Dava describes a project “in Hawaii, climbing around volcanoes, that’s a simulation for Mars… We simulate it, and we get real science out of it” from rovers on the planet. “We go to Antarctica and do the exploration studies,” and by pushing bodies to the limits in the most extreme conditions on Earth, more understanding can be gained of the perils and potential dangers of life in outer space. To achieve microgravity aeroplanes fly in a parabolic flight path which is essentially flying up and down at 45 degree angles so that they aeroplane flies along the path of an imaginary upside down ‘U.’ At the very top of the hump, the people and objects inside the plan are in free fall, and for those few moments of freefall, that is microgravity. To understand the effects of microgravity on bone deterioration or loss of muscle mass, Newman says “we do bed rest studies” as the periods of microgravity achieved in the aeroplanes “last only for 20 to 30 seconds.” Astronauts can be living in microgravity for months at a time on the International Space Station, and future space travel will take months so there is a clear need to know and understand microgravity to keep astronauts safe and healthy during space exploration. Furthering the limits of space exploration is however not their only focus; for Newman and Trott, conquering the far reaches of the solar system and beyond is useless if we do not first heal our damaged home planet. In their talk in UCD, Newman speaks about using data collected by NASA to monitor climate change. With impressive graphs and simulations, she shows the scientific evidence that climate change is real, that it is happening now, and that humans are one of its largest contributors. In the current political climate, the voices of science are being drowned out and ignored too often. Newman and Trotti believe that the key to saving the planet lies in education.